Marvelous Multiagers! 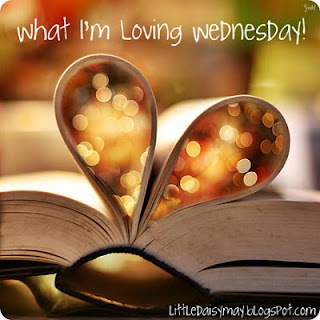 : What I'm Loving ... Thursday? I just realized it isn't Wednesday. I mean, I knew it all day, but the whole way home from school I was thinking about what to write for WILW this week. Apparently it's Thursday so today it is WILT!! Wilt! I'm loving my class, again. They're a handful and we have a lot of emotions running through our 12 little bodies, but they are funny and I like being their teacher. Today, as I was setting my phone timer for an activity in Math, the first graders asked if I was calling my boyfriend. I said, "Why would I call him now? We are in the middle of math!" And one girl said, "You could call him and say, 'I'm teaching the kids! Don't talk to me!'" (said in a very angry voice). They make me laugh a lot. I'm loving the baby steps I'm taking towards Math Work Stations! Finally! It only took 32 days of school!! I want to have my management board set up by Monday because I forgot to finish taking pictures of the kids. So far I have 3 stations set up, so over the weekend I should come up with 3 more so they can have a little variety in their lives. I will keep you all posted because today we (sort of) did them and it worked out really well! Except - I have an odd number of first graders and an odd number of second graders. Do you all make groups of 3? Because my groups of 2 worked together way better than my groups of 3, but I don't want to isolate anybody... hmm. I'm loving that I learned how to use the little laminator at school today! Now I understand why everyone loves personal laminators. I think I should probably buy my own sleeves so that I don't get yelled at for depleting the resources. 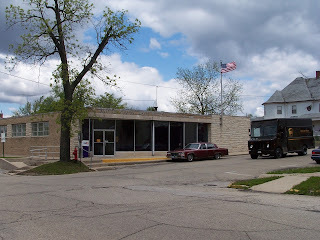 I'm loving the post office down the street from my school! Our class is participating in the postcard exchange hosted by Primary Graffiti and The Techy Teacher, and today I called to see if my class could take a field trip there next week so we can be more invested in our postcard sending. They were cool with it and we're going in a week! There are definitely perks to teaching in a small town. 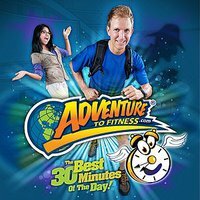 I'm loving Adventure to Fitness!!!!!!!! A lot!!!! Since I'm in a private school, I can't sign up because my school is not a choice. I've probably sent them 5 requests and they are just ignoring me. So, I asked my wonderful sister to sign up on my behalf and now my kids LOVE running with Mr. Marc! We've already had 3 days worth of indoor recess this week and this has saved me in a huge way. I'm loving these super cute apples we made yesterday! I'm loving another thing about my students. They are really good at making up excuses for stuff in their own lives, so whenever something goes wrong in my room, they always come up with a reason for it. For example, we watched a little video about the planets today, and the audio kept skipping. It was super annoying. One of the kids was like, "It's fine, it's just because the planets are so far from the radio tower." I was like, "..... I'm sure that's it." They never get upset about anything! It is so funny. Oh - I need a bit of advice. I have a student who literally will not do anything unless I stand there and tell him to. Like, he won't even write his name on his paper unless I prompt him. Today we did dictation, and at the end I collected their papers, and he literally wrote nothing. The whole time! My first graders are very dependent as a whole, but this is confusing to me. Any words of wisdom?? I was downstairs today, setting up for afternoon classes, and heard the adventure to fitness workout going on above me. They were stomping around pretty hard, sounded like they loved it. Mr. Marc might soon put me out of the job. I love your apple project! I wish it was still apple week in my classroom so I could do those too! Hmm...maybe I can make something like that in a few weeks when we study pumpkins. Was it hard to cut out the inside of the apples? I am laminating obsessed too-I am probably costing my school a fortune with the amount I laminate each week ;) I really wish I had a laminator at home.